Hold to, spur on, meet and encourage! Last week my husband and I spent a week vacationing in the Dominican Republic. It was a great rest for both of us. We were fortunate enough to meet some new friends who are currently missionaries there. One is a fellow blogger. It was such a blessing to meet people who are helping people in the most practical ways, right where the rubber meets the road. People who are not afraid to get their hands dirty when reaching down to help others in some pretty dark places. It encouraged me to do more. Meeting with fellow believers should do just that. If we are fulfilling the plan God has for our lives it should encourage others to do the same. We need each other. We all have times of discouragement and difficulty but God has provided us with a very large family! A family we can turn to for support, encouragement and love. A family of likeminded people who can keep us grounded in the Word of God and keep us in check should we begin to wander into the wider path. Though our relationship with Christ must be personal, He has given us a large family for support, correction, love and to labor alongside of. The Word of God tells us just how important it is that we maintain relationship with our spiritual family. Hebrews 10:23-25 NIV 23 Let us hold unswervingly to the hope we profess, for He who promised is faithful. 24 And let us consider how we may spur one another on toward love and good deeds, 25 not giving up meeting together, as some are in the habit of doing, but encouraging one another and all the more as you see the Day approaching. When we look around us today we can be assured that the Day of Christ’s return is not that far off. It is so important that as the days grow more evil, we spur one another on toward love and good deeds. There will be times we will feel discouraged with what we see happening but that is not the time to stop sharing the gospel, doing good deeds or being the hands and feet of Christ. It will be the time to spur one another on! We must not give up meeting together. As the Lord’s return draws closer we must stop making excuses of why we cannot get to church, or bible study or any other gathering of the body of Christ. There is nothing more important than growing in our faith and doing His works! We need one another’s support and wisdom. And lastly, we must encourage one another all the more as time passes. God has created each of us with a need for others. He did not create us to be an island of our own. We need to be available and supportive to our brothers and sisters in Christ for prayer, sharing of the Word and fellowship. Lord I pray today that You will reveal to us how important it is that we hold unswervingly to the hope we profess, our hope in the return of our beautiful Savior! Open our eyes to see how important it is that we spur on one another in good deeds! Help us to realize the importance of meeting regularly with our church families! Help us to encourage one another as You would encourage us Lord. Let us not be found sleeping when You return, but let us be found busy doing Your works inside the church and outside the church. Sometimes the beautiful, sweet things God does on our behalf overwhelm me. Just in the last two weeks I have seen God’s hand move so wonderfully in my life and in the lives of those around me. He has answered so many prayers for myself and others. He has given water in dry places, He has healed people we have prayed over, He has provided financially for needs that seemed impossible. 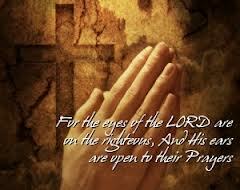 We serve an awesome, loving God that delights in the prayers of His kids. As we yield our lives to Him, He never disappoints. Since my husband received a cancer diagnosis in June, God has been taking care of so many details in our lives. I have no fear of the future. He is in this journey with us every step of the way. He has given me a peace that I cannot even describe. He continues to take care of our present and future needs, sometimes with great precision. 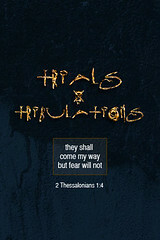 We were told we would have trials and tribulations in this world and that we are not to be surprised. James 1:2-4 NIV 2 Consider it pure joy, my brothers and sisters, whenever you face trials of many kinds, 3 because you know that the testing of your faith produces perseverance. 4 Let perseverance finish its work so that you may be mature and complete, not lacking anything. Every trial is an opportunity to see the mighty hand of God work in our lives. I believe this to be true. I have seen it many times in my own life. We don’t wish to go through trials and we don’t choose them but when they come, and they will come, we are able to witness our Heavenly Father’s beautiful hand in even the finest details. Psalm 112:6-8 NIV 6 Surely the righteous will never be shaken; they will be remembered forever . 7 They will have no fear of bad news; their hearts are steadfast, trusting in the Lord.8 Their hearts are secure, they will have no fear; in the end they will look in triumph on their foes. We don’t have to stress or worry about our circumstances. As followers of Christ, we have One looking out for us at all times. One who answers often before we even ask. One who will never leave us or forsake us. Matthew 6:31-33 NIV 31 So do not worry, saying, ‘What shall we eat?’ or ‘What shall we drink?’ or ‘What shall we wear?’32 For the pagans run after all these things, and your heavenly Father knows that you need them.33 But seek first His kingdom and His righteousness, and all these things will be given to you as well. Seek Him and trust Him and He will not disappoint you. In fact, you will begin to see His beautiful hand move in your life in ways you could never imagine. We serve an awesome God!